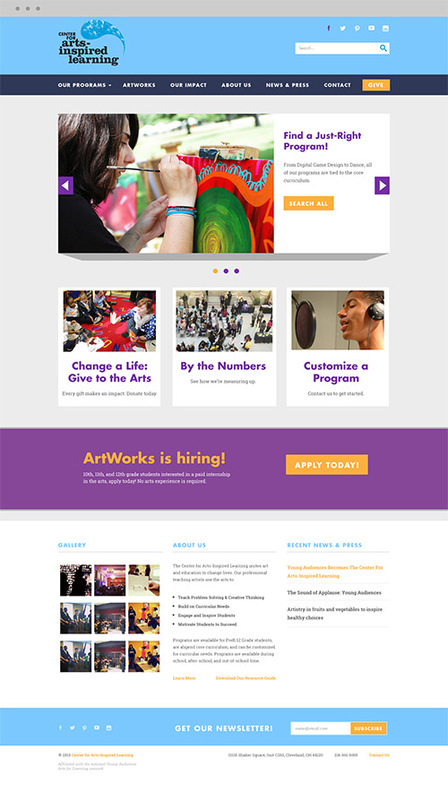 Center for Arts-Inspired Learning Website - Go Media™ · Creativity at work! 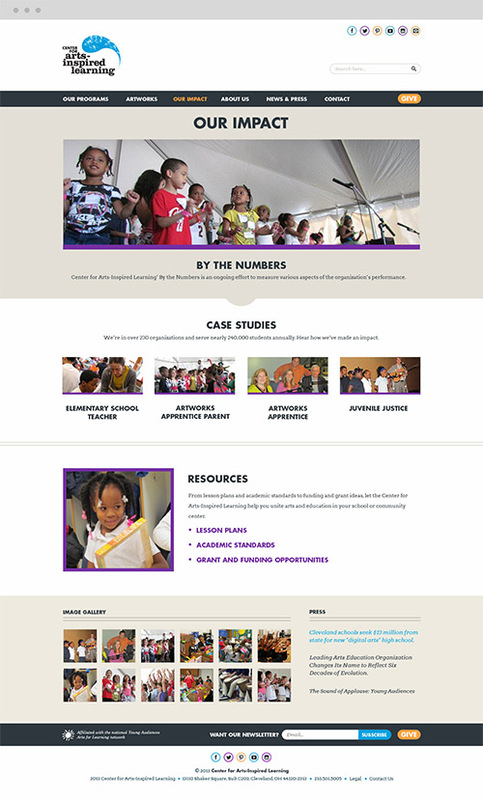 The Center for Arts-Inspired Learning is a non-profit organization that brings unique learning experiences to students through the arts. 'CAL' as they are affectionately known has impacted the lives of 7 million students over eighteen counties through arts education. 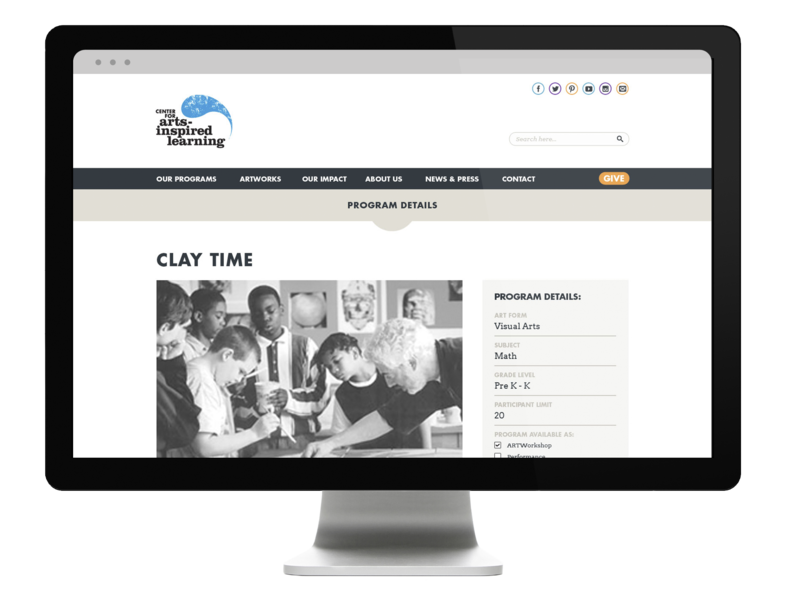 As former board members, it was our great privilege to help them on their mission to ignite student learning, creativity and success by building them a highly functioning, intuitive and fun website. 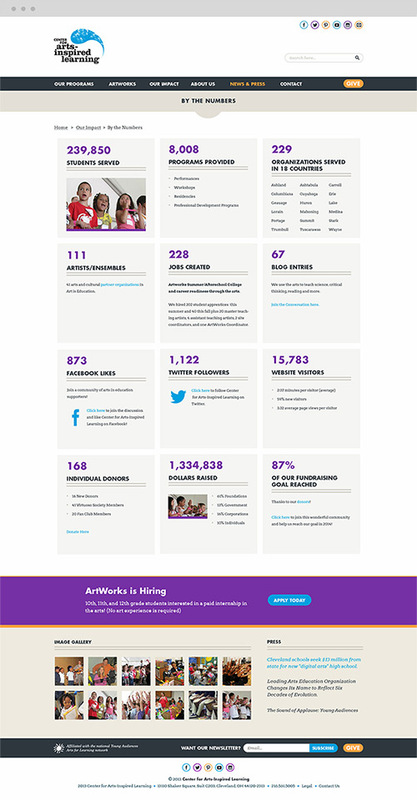 Our goals were to increase awareness, drive fundraising and to have the overall feel of the website reflect the creative nature of the organization. 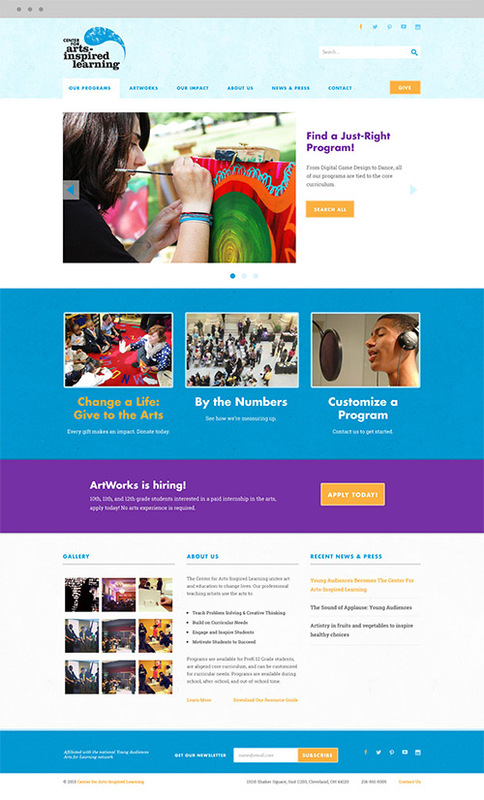 The new Center for Arts Inspired Learning website was built upon Go Media's Designer Sites Platform. The site is built in WordPress, the leader in content management systems. WordPress sets the standard for ease-of-use, which is key when you have a number of contributing members to your website. This CAL website is enhanced by Go Media's Page Builder on page editing tool. This powerful and intuitive content management tool allows members of CAL the ability to make live edits directly to pages without having to use WordPress' backend. Good website design is a byproduct of smart planning, exploration of multiple concepts, and rounds of refinement. At Go Media, we always start the web development process with information architecture and wireframes. This allows us to determine the optimal organization of the content, and refine the user experience. By the time we're putting pixels to screen, we're confident that the form and functionality is going to work for our client's users.